Greater Sydney is Australia’s global city; an economic powerhouse of 4.7 million people, endowed with the natural beauty of Sydney Harbour, bushland, beaches and the Blue Mountains. Greater Sydney’s people have embraced this place for its opportunities and its potential. 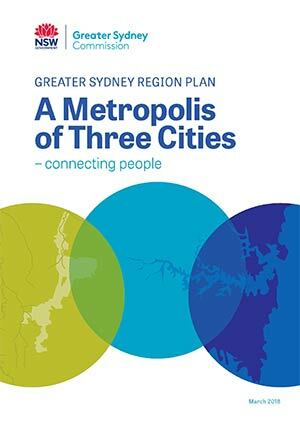 The Greater Sydney Region Plan, A Metropolis of Three Cities is built on a vision of three cities where most residents live within 30 minutes of their jobs, education and health facilities, services and great places. This is consistent with the 10 Directions in Directions for a Greater Sydney which establish the aspirations for the region over the next 40 years and are a core component of the vision and a measure of the Plan’s performance. The vision brings new thinking to land use and transport patterns to boost Greater Sydney’s liveability, productivity and sustainability by spreading the benefits of growth. As the population of Greater Sydney is projected to grow to 8 million over the next 40 years, and with almost half of that population residing west of Parramatta, rebalancing economic and social opportunities will leverage that growth and deliver the benefits more equally and equitably across Greater Sydney. Residents will have quick and easy access to jobs and essential services. Housing supply and choice will increase to meet the growing and changing needs of the community. The environment and precious resources will be protected. Importantly, infrastructure will be sequenced to support growth and delivered concurrently with new homes and jobs. Having three cities, each with supporting metropolitan and strategic centres, will put workers closer to knowledge-intensive jobs, city-scale infrastructure and services, entertainment and cultural facilities. In an inclusive Greater Sydney freedom of expression and creativity will be supported and acknowledged as part of the innovation economy. Managing and retaining industrial land close to centres and transport will ensure critical services are available to support businesses and residents. Green infrastructure such as urban tree canopy, green ground cover, bushland, waterways, parks and open spaces will be valued for its economic, social and environmental benefits and will help to establish the Greater Sydney Green Grid, a network of walking and cycling links that will become increasingly important in daily travel arrangements improving sustainability and the wellbeing of residents. The vision of A Metropolis of Three Cities will be achieved by collaborations between all tiers of government, and between governments and key stakeholders including the community, interest groups, businesses, industry groups and nongovernment organisations. 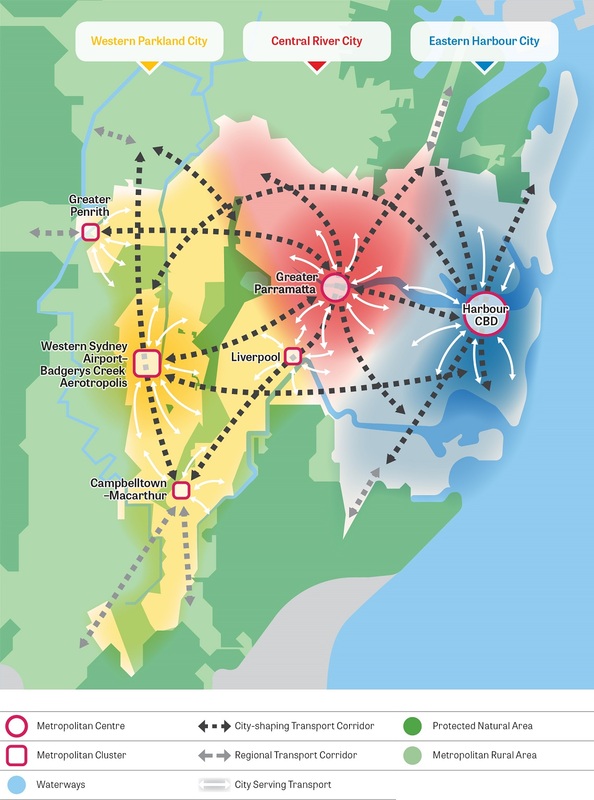 The Western Sydney City Deal, a partnership of the Australian Government, NSW Government and the local governments of the Blue Mountains, Camden, Campbelltown, Fairfield, Hawkesbury, Liverpool, Penrith and Wollondilly will be instrumental in delivering on the aspirations of the Western Parkland City. Greater Sydney is already an outstanding global city with a reputation for liveability and cultural diversity that attracts international investment and appeals to visitors. A Metropolis of Three Cities will build on its social, economic and environmental assets to improve the quality of life for all its residents and to uphold its status as one of the top cities of the world.